Green Island Tours recommends that all customers take at least the first two tours listed below. These two days of tour will include all the major sites of Easter Island that can be reached by vehicle. Having done these tours, you may then like to do any one of the additional tours that we offer. Please note that your National Park ticket (US$80 per person) and food are not included in the price unless specified. If you are on the island for a short time and want to get the absolute most out of your time, please take a look at our Combination Tour Ideas at the bottom of the page. Remember that all tours can be changed to suit your specific preferences and we are available 24 hours a day by email. Do not hesitate to contact us if you have any queries and you will be sure to receive a prompt reply. Just click on any of the following tours for more details. The following is a basic overview on the tours. For more in depth information, click on the links at the bottom of the page for a detailed overview. 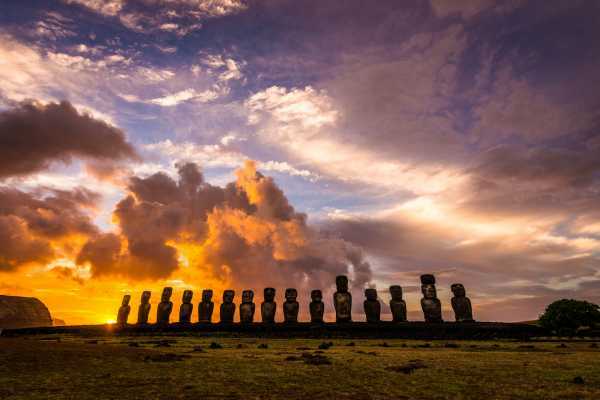 Moai Monuments Tour - This is the best introductory tour available where you will visit the bulk of the main archaeological sites on the island pertaining to the famous moai statues. Duration - 6.5 - 7 hrs. A total of about one hour throughout the day is spent in the vehicle getting from place to place, with no more the 25 minutes travel at one time. 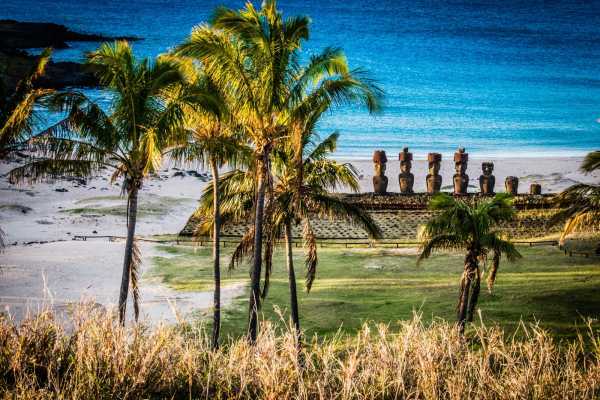 Historic Pathways Tour - This tour compliments the Moai Monuments Tour. 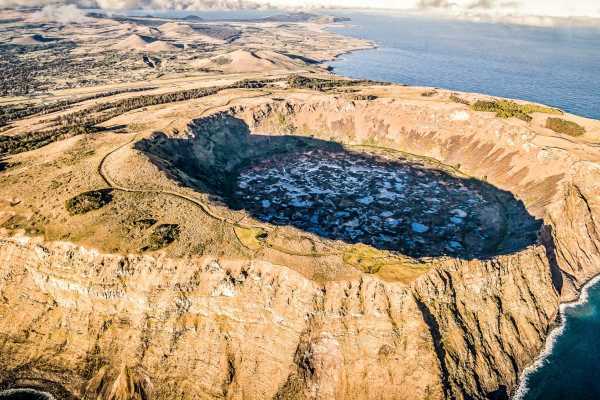 After doing these two tours, you will have seen most of the main archaeological sites accessible by vehicle and will have a good grasp of the overall history of Easter Island. Highlights of Rapa Nui - This is a combination of the most relevant places visited during Moai Monuments and Historic Pathways Tours. If you are only able to do one tour on the island, this is the one we would recommend. Duration - 7.5 hrs. A total of about one hour throughout the day is spent in the vehicle getting from place to place, with no more the 25 minutes travel at one time. North Coast Adventurer - Walk along the northwestern part of the island, visiting several ancient villages, moai and caves. This a great option for those wanting to visit places off the beaten track. Duration - Approximately 6 hours, with drop off and pick up in different places. 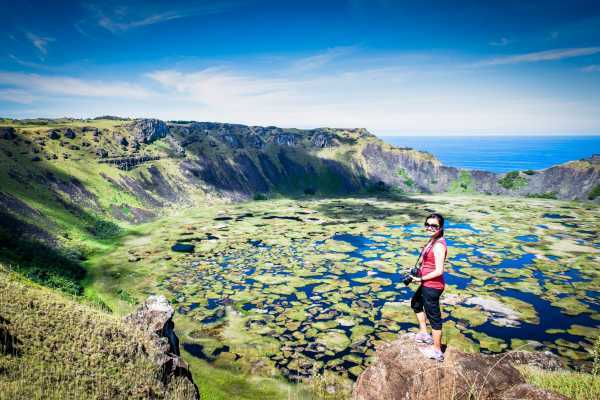 Poike Explorer - This tour involves hiking the oldest area of the island and the second highest point. 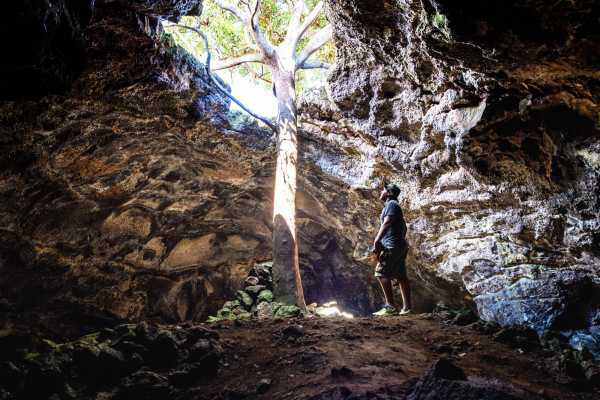 With 200 meter cliffs, various caves, carvings and moais, the Poike Explorer is another great opportunity to experience an isolated area of Easter Island. Duration - approximately 6 hours, starting and finishing at the same place. 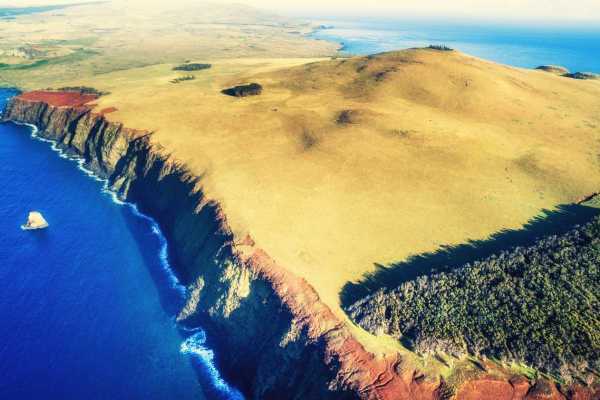 Summit to Subterranean - Feel like you have conquered the island as follow the Easter Island's only stream to the highest point on the island, before descending towards Hanga Roa, stopping at a few cave systems on the way. The Rapa Nui Stargazing Experience - Learn about the principles of basic astronomy, Polynesian voyaging and navigational techniques and the archeo-astronomy of Rapa Nui on Easter Island’s only hands-on stargazing and astronomy experience. 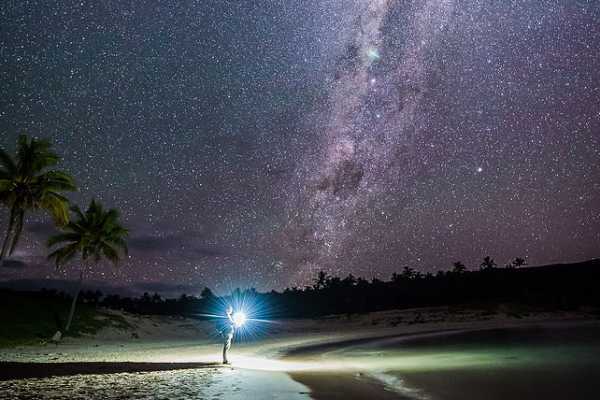 Gaze at the night sky on one of the most remote islands in the world, looking at the beauty of the stars, planets, clusters, nebulae and galaxies visible through our high-powered telescope, viewing stars and constellations visible only in the Southern Hemisphere. 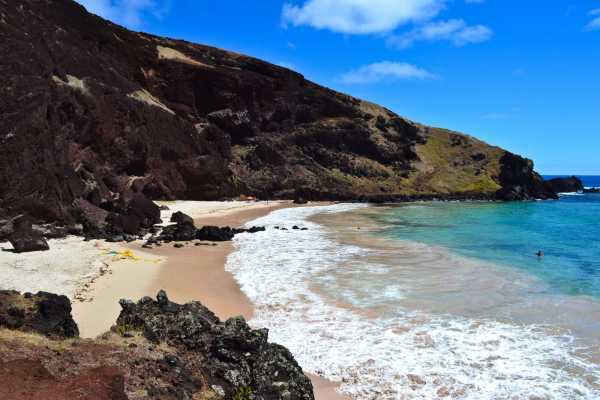 Finish the night with a cup of hot chocolate and a slice of poʻe (banana bread) and a visit to Anakena Beach and Huri a Urenga with the option of taking spectacular shots of the star-filled sky with moai in the foreground. The Rapa Nui Stargazing Experience operates from Sunday to Thursday, except for four days before and two days after the full moon. 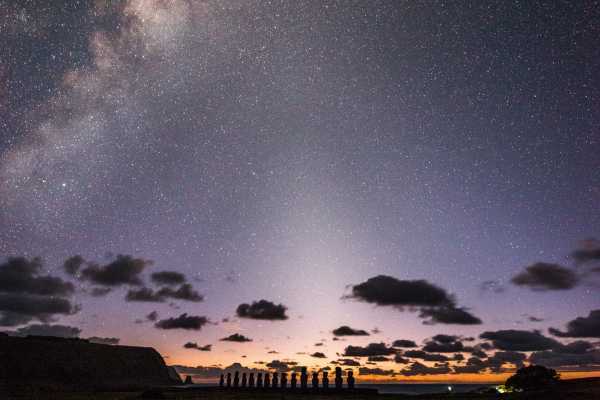 Stars to Sunrise - Enjoy the magic of the early morning sky as the starlight fades and the sun rises at the fifteen moai of Ahu Tongariki. View stars and constellations visible only in the Southern Hemisphere from one of the island's traditional observatory sites, and take in the beauty of the star clusters, planets, nebulae and galaxies visible through our high-powered telescope. As this tour takes place about 7-8 hours later than our regular stargazing tour, the "Rapa Nui Stargazing Experience", the sky that is visible in the early morning is totally different to what can be seen just after sunset, offering unique opportunities for stellar observation and astro-photography of Ahu Tongariki beneath a star-blanketed sky before its backdrop changes with the spectacular light of the dawn. Stars to Sunrise operates from Monday to Friday, except for two days before and two days after the full moon. Terevaka Night Hike - Experience the outdoors at night, walking under the light of the moon to Easter Island's highest point of Mt Terevaka. Your guide will point out some of the most visible stars in the sky and explain some of the ways Polynesians used the night skies for navigation and marking seasons in ancient times, as well as some of the stories and legends attached to different stars and asterisms. 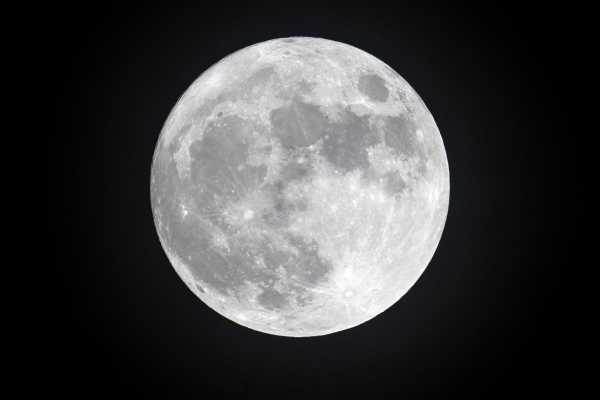 The Terevaka Night Hike operates from Sunday to Thursday, four days before and two days after the full moon. 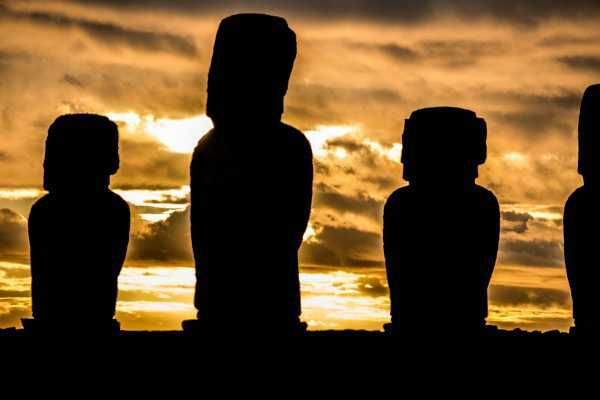 Tongariki Sunrise - Witness Easter Island's most amazing sunrisei as the sun silhouettes the gigantic 15 moai of Ahu Tongariki. (The tour starts an hour before sunrise and ends early enough to have you back in time for breakfast at your hotel). 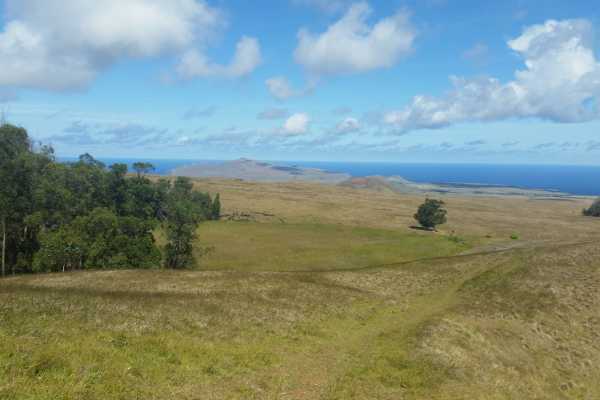 Vai a Tare Crater Walk - Walk the outer rim of the crater of Rano Kau with beautiful views into the crater and towards the small islets off the coast (3 hours total). 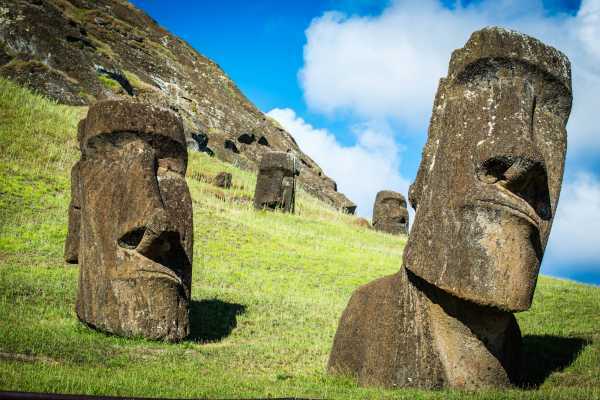 Hidden Treasures of Easter Island - This excursion looks to visit many of the hidden and often missed sites of interest on the island that are difficult to find without a guide, and is a fantastic complement to the Moai Monuments and Historic Pathways Tours. All of the sites on the tour are located a reasonably short walking distance from the vehicle, making it an ideal third day of exploration for those who are unable to manage a day hike. Duration - 6.5-7 hrs. A total of about one hour throughout the day is spent in the vehicle getting from place to place, with no more the 25 minutes travel at one time. 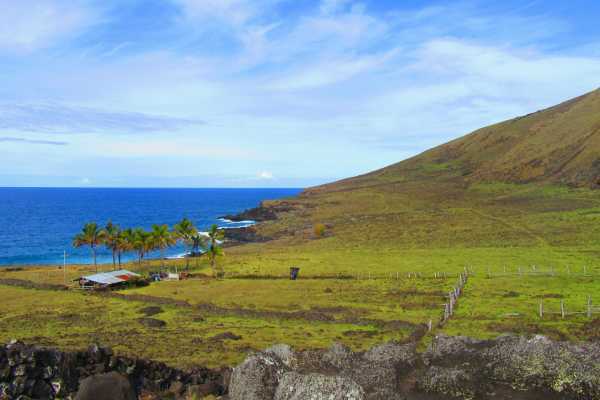 Horse Riding Excursion - Enjoy the beauty of Rapa Nui, traversing the island on horseback.Visit a range of different archeological sites with an informed guide that will help bring the island's history to life. Choose one of four routes to ride - North Coast, Poike Peninsula, Mt Terevaka or Roiho Caves. Extreme Adventure Three-day Horse Trekking Adventure - Pack your sense of adventure, traversing the island on horseback, camping out under the stars and fishing the waters of the ocean, all with your own private guide. 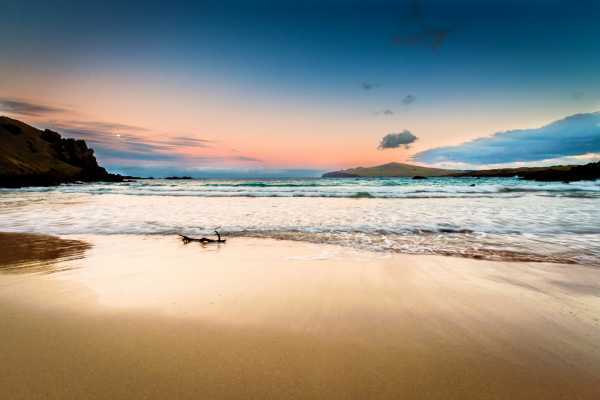 Visit the three locations that are usually done on our day hikes - the North Coast, Poike Peninsula and Mt Terevaka. Tour includes use of all camping and fishing equipment, food and transport. Explore differently! Traverse the island on mountain bikes or quad bikes, camping out under the stars and fishing the waters of the ocean, all with your own private guide. This includes all camping equipment, food and transport. Contact us if you would like to know more to see if we can put together your own personalized adventure tour! Two Half Days and one Full Day - This is a great idea if you arrive on a midday flight and are here just for one full day on the island. Day 3 - Sunrise Tour - back to breakfast - Half-day Historic Pathways Tour and transfer to airport. 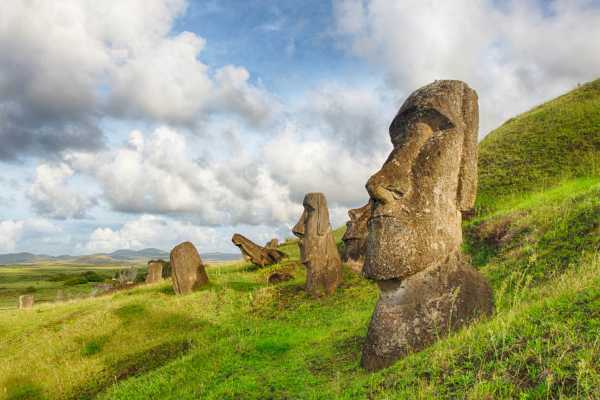 *The Hidden Treasures of Easter Island tour visits many of the hidden and often missed sites of interest on the island that are difficult to find without a guide. All of the sites on the tour are located a reasonably short walking distance from the vehicle, making it an ideal third day of exploration for those who are unable to manage a day hike.